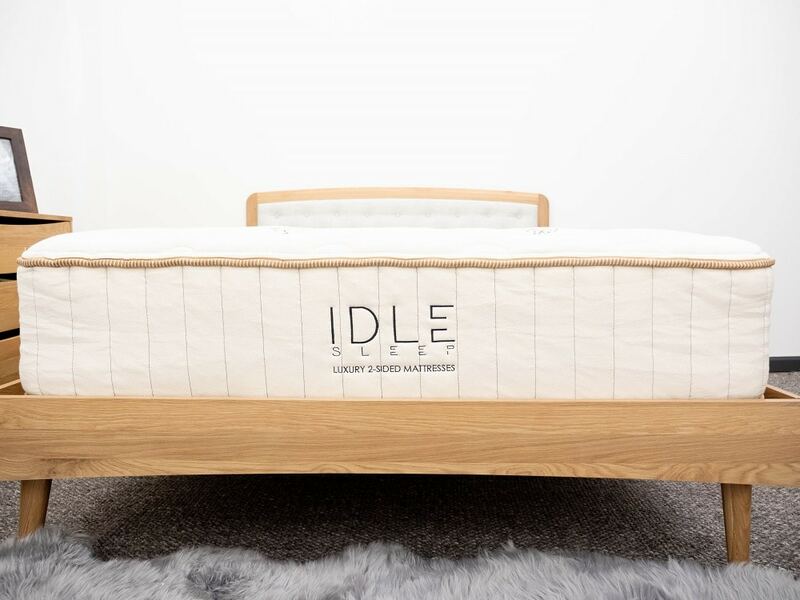 Idle Latex Mattress Review - Will This Flippable Bed Be Right for You? 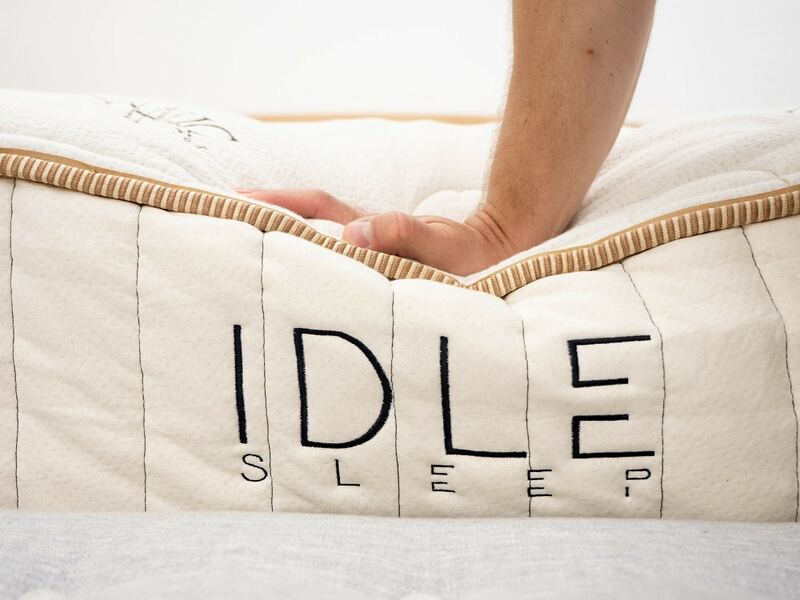 Continue reading below for my full review of the Idle mattress. Don’t have time to read it all? Click here to skip to the bottom and check out my review summary. Cover – The cover is made up of organic cotton, which gives the material a soft and cozy feel. It’s also quilted with a bit of foam, intended to supply the sleeper with some immediate comfort as soon as they lie down. Latex Layer – Directly below the cover, you’ll find 3” of talalay latex. 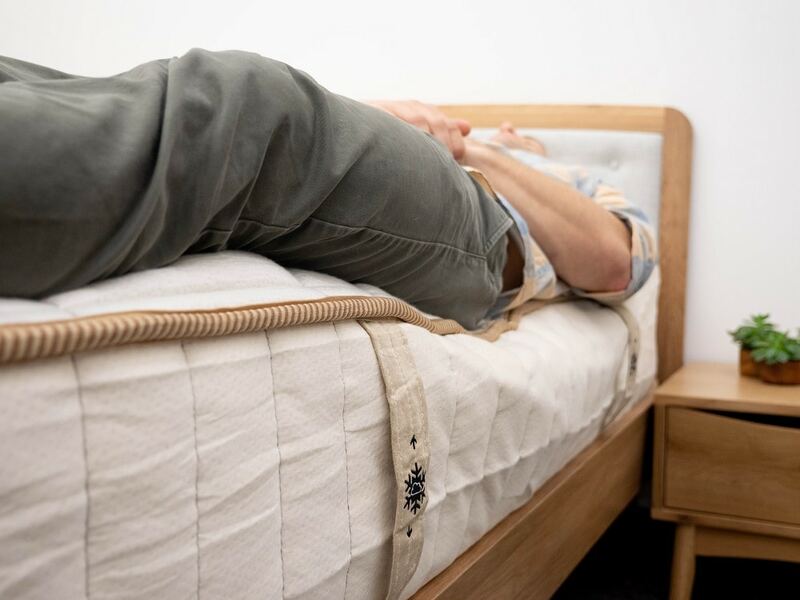 This material is incredibly bouncy and has a quick response to pressure, which works to keep the sleeper positioned on top of the mattress as opposed to in it. Latex is also known for its cooling properties, so this layer will help keep temperatures regulated throughout the night. Support Layer – Next up, you’ll encounter 6” of pocketed coils, which bring even more bounce to the structure. They’re also individually wrapped, which means they’ll be better at isolating motion than traditional innersprings. The combination of the springy coils with the latex above imbues the bed with a buoyant lift that should make it easy to move around the surface and change positions. Latex Layer – Since the mattress is flippable, the bottom layer (or top depending on your persuasion) is also built with 3” of talalay latex. However, this particular section of latex is a bit denser than its sister layer, creating a firmer feel. 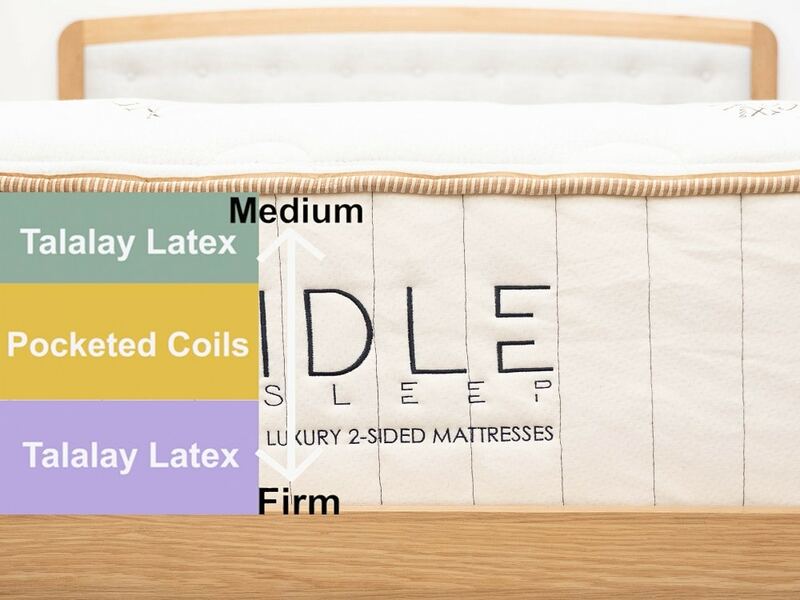 The Double-Sided Latex Hybrid is one of four beds currently offered by Idle, including: the Hybrid (featuring pocketed coils and memory foam-like layers), the All-Foam (built with layers of pressure-relieving and supportive foam) and the Dual (same as the all-foam, but with a shorter profile and lower cost). After taking a look at the construction of the Idle, let’s chat about the firmness and feel. I started off by applying light hand pressure to the mattress and found that I was immediately interacting with the foam quilted into the cover. While my hand sank nicely into this section, the buoyant latex below kept me positioned on top of the structure. As I pressed in further, I encountered the springy coils, which boosted me up and out of the bed. Since folks of different weights and sizes are going to feel firmness differently, I decided to enlist three other testers to help me figure out the Idle’s firmness. To do this, we each took a turn lying on the bed and gave it a personal rating, which we then compiled on the graph below. 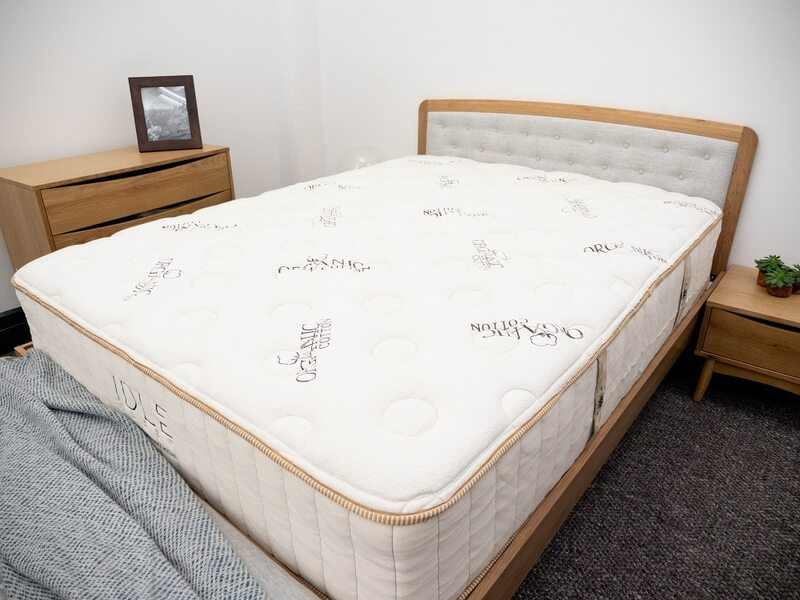 While feel is always going to be an individual thing, our responses should give you a better sense of the firmness range you can expect from the mattress. 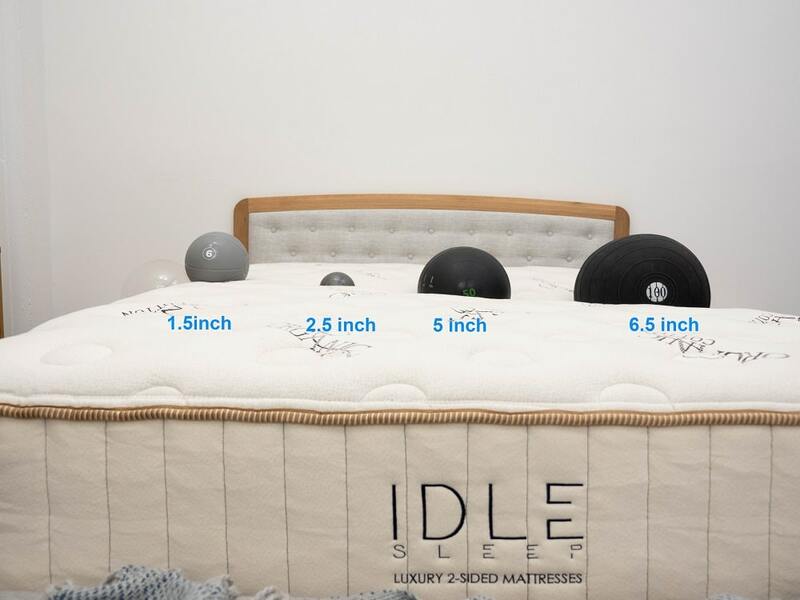 This shows the firmness for the medium side of the IDLE Latex mattress. The firm side is about 1.5 – 2 points firmer. As you can see in the graph above, we had a wide range of responses to this bed, but ultimately landed on an average firmness rating of 5.6. When compared to the industry standard of 6.5 for medium firmness, it seems this bed is on the softer side. I personally gave the bed a 6 as I found it to be just a touch softer than medium firm. With a hybrid such as this, it’s totally normal for there to be a wide range of responses as folks of varying sizes are going to react to the mixture of materials differently. 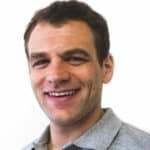 A heavier person, for example, is likely to sink through the latex comfort layer and interact primarily with the pocketed coil system, thereby experiencing it as a firmer structure. On the other hand, lighter sleepers will mostly respond to the latex foam, feeling it as a softer bed. All that being said, keep in mind that we’re only looking at the Medium side of the Idle. If you were to flip it over to the firmer orientation, you’d likely find that the firmness range would be somewhere between 7-9, a solid range for back and stomach sleepers. 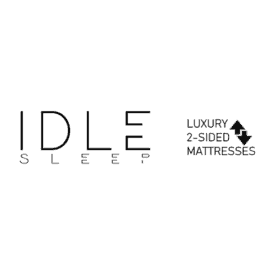 Another important component of feel is pressure, or more specifically where pressure points are likely to form while lying on top of a new bed. Back – Lying on my back, I could feel myself sinking through the quilted cover into the top layer of latex foam. The material filled in the space at my lumbar region, providing me with some satisfying pressure relief in this position. As I began to move around, I found the bounce from the latex and pocketed coils made it super easy to change positions. Edge Support – Scooting as close as I could to the side of the bed, I began to detect a bit of compression through the latex comfort layer. However, the pocketed coil system did a really good job of supporting my weight here, so I’d say the Idle has great edge support, which means you’ll be able to use the entire surface area of the mattress. Side – Turning onto my side, I felt some nice pressure relief at my shoulders and hips, typical problem areas for side sleepers. 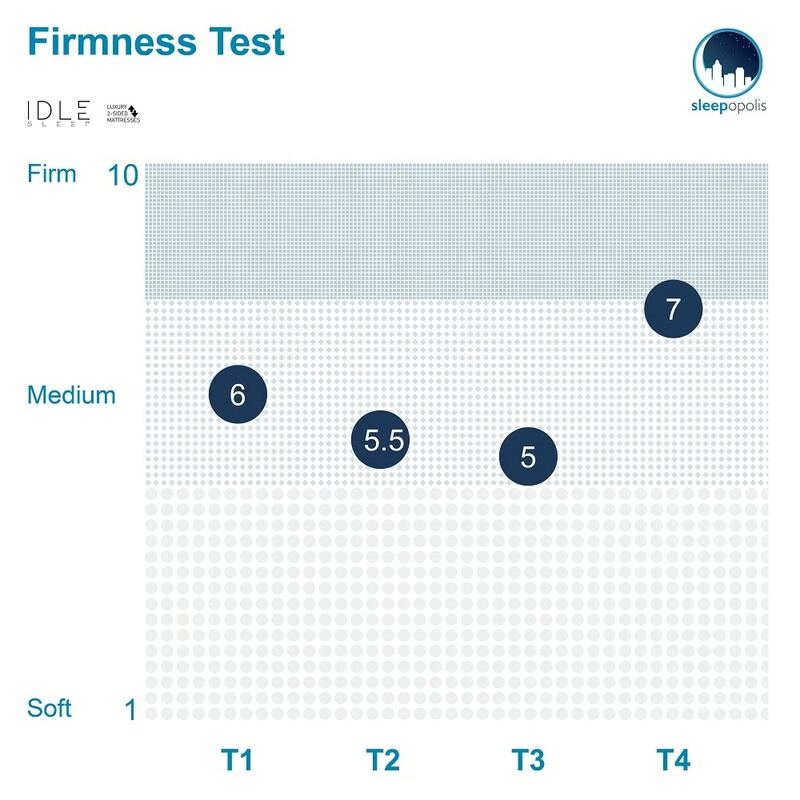 I’m not too surprised by this as strict side sleepers tend to prefer softer beds that fall within the 5-6 range on the firmness scale, not unlike the Idle in its Medium configuration. I should note that flipping the bed could possibly make it too firm for those who doze primarily on their sides. Stomach – On my stomach, I began to feel a bit of discomfort as my hips sank out of line with my shoulders. Unlike side sleepers, stomach sleepers want a firmer bed that creates an even spinal alignment. For that reason, I’d suggest that strict stomach sleepers orient the Idle with the Firm side on top. 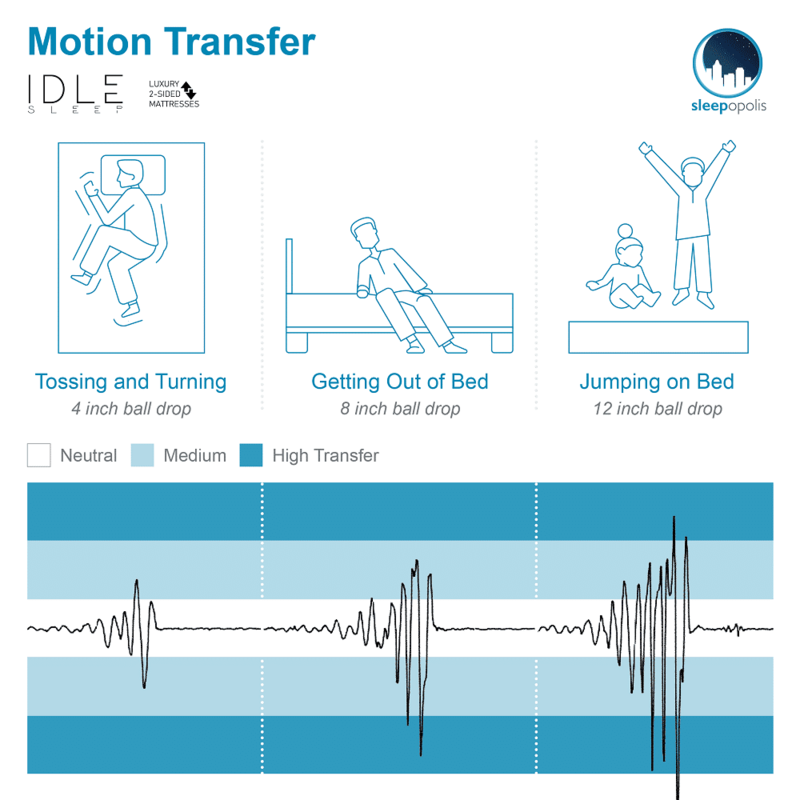 For those of you looking to share your bed with a partner, you’ll want to pay attention to its motion transfer, or the amount of disturbance distributed from one side to the other. Basically, this test is going to let you know just how bothered you’ll be by your bed mate’s bumping around in the night. 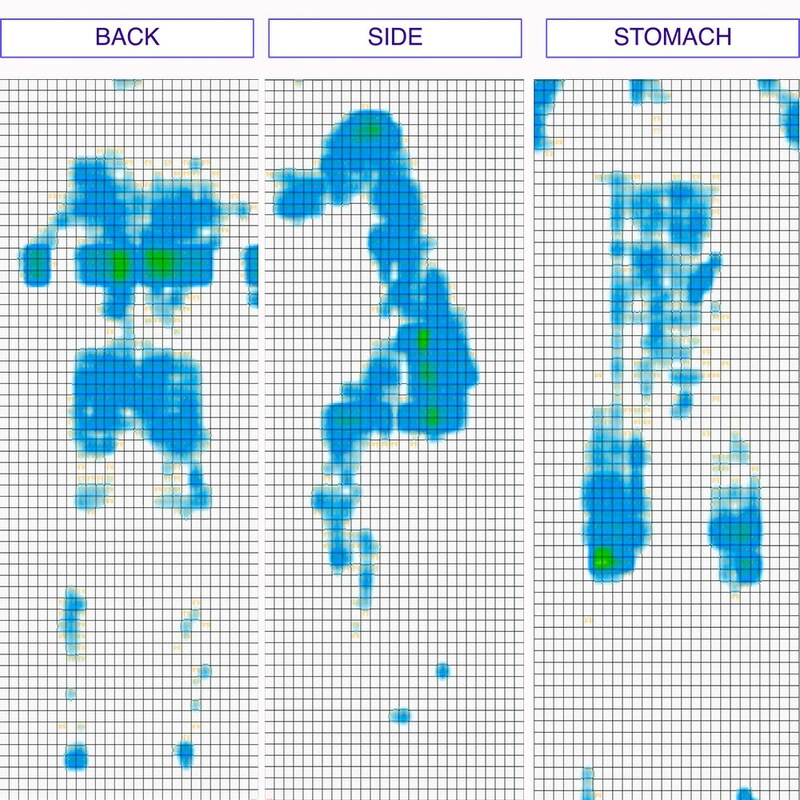 These are really high motion transfer results, which tells me you’re likely to feel your partner’s every move. Though the bounce from the pocketed coils and latex is great for keeping the sleeper positioned on top of the bed, it does unfortunately contribute to a lot of disturbance across the structure. And finally, let’s take a look at sinkage. This section will demonstrate whether or not you’re going to feel like you’re sinking “into” the mattress or lying “on top” of it. This is quite a lot of sinkage! While the bounce from the pocketed coils and latex is going to keep you positioned on top of the bed, you’re still likely to sink through the gentle foam layers for some super pleasant pressure relief. 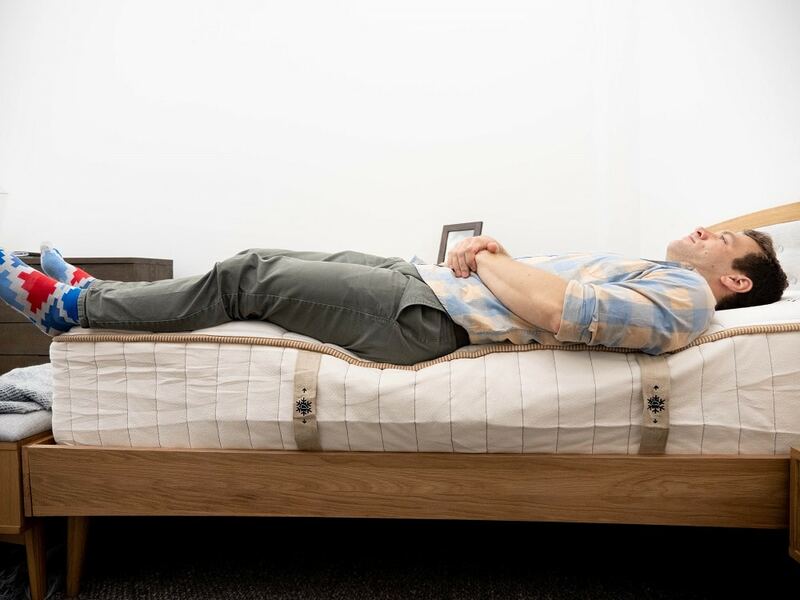 This combination of relief and support is a standout feature of the bed, and could be a big selling point for those of you who sleep in multiple positions. 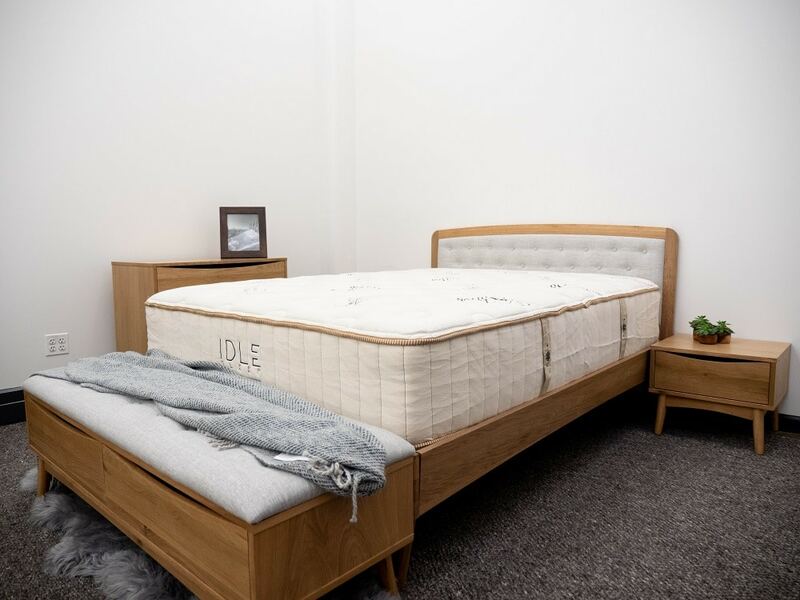 If you’re convinced the Idle is the right mattress for you, the size and pricing information for the mattress are below. Please note that these prices reflect standard pricing, but you can save $300 by using the coupon code SLEEPOPOLIS! 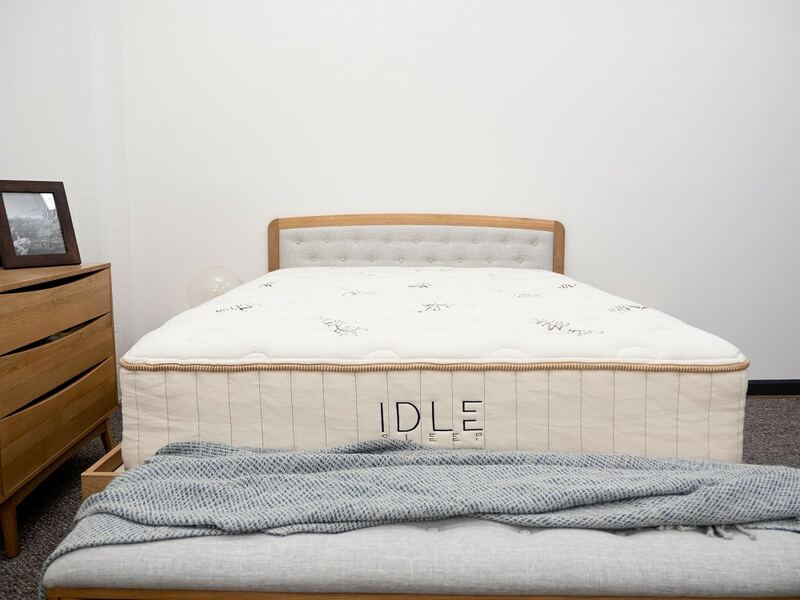 IS THE IDLE MATTRESS RIGHT FOR YOU? One of my favorite things about the Idle bed is its bounce, which could be great for those of you in search of some solid buoyant support. I also like that it sleeps cool, a great feature for anyone who tends to overheat at night. And finally, you’re likely to experience some nice pressure relief without that stuck-in-the-bed feeling you might get from other mattresses. A drawback of the Idle is its motion transfer, which suffers from the intense bounce of both the latex foam and pocketed coils. Also, if you’re on the look for deep body contouring, you won’t really find it in this mattress. Be sure to use the coupon code SLEEPOPOLIS for a $300 discount on your IDLE mattress!